Many projects have come to us without the ability to manufacture the product the way the customer had intended. 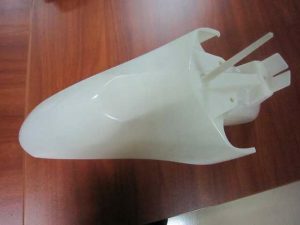 Largely due to the customers lack of knowledge in the plastic molding manufacturing processes when it come the plastic injection molded. Several projects have been renewed when it was discovered by our engineering department that the mold had been gated wrong and this lead to the part having too much stress molded into the part for the finished product to survive in its intended environment. We pride ourselves in helping the customer by becoming involved early in the process of product design to help prevent end use product failures. One of our best customers asked us to bid on a project that others had already submitted their bids and the customer was complaining about not understanding what made the project so costly. We decided that before we would submit a bid that we would have to sit with the engineer at our customers facility and find out what the expectations were and see if we could find a way to help reduce the cost. As it turned out all that was needed was our engineers to sit with their engineers and we discover that one wall sections in the very complicated part, needed to be moved slightly so that the part did not have an undercut section requiring a side-core in the mold. The customers’ engineer had no problem with the slight modification which as it turned out was all it took to make the part cost justifiable. We got the order. We like early involvement. We know how to make a product more manufacturability. 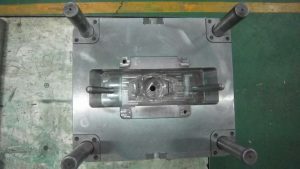 The ultimate objective of the Advanced Quality Planning system is to launch new plastic mold and plastic products with designs and mold and molding manufacturing processes that insure all cost, quality and delivery expectations of our customers are met. Cross functional teams who use checklists, question/action plans and team inputs to develop Process Flow, FMEA, Process & Inspection sheets, and tools and gauge plans accomplish this. The cross-functional teams consist of representatives from all of our internal departments and the customer. They make use of the best practice manuals, quality history and error proofing to identify the design and process that will provide zero defects at competitive prices. This discipline is responsible for PPAP scheduling, Project Management and complete PPAP certifications of all new and changed plastic parts per the AIAG PPAP requirements Dimensional layout of all plastic mold and plastic molding products is accomplished using traditional equipment as well as state-of-the-art measuring equipment, such as CMM analysis. Several years ago we were in 2 business models. One was Plastic molding and the other was plastic mold building. Shortly after the Chinese became a threat to our tooling or mold building industry we decided that we needed to pick one business model or the other. We decided that we would best serve our stockholders by choosing to be a manufacturer of plastic injection parts of a nature that we began to call “Crazy Jobs No One Else Will Do”. Therefore we were no longer in the Plastic mold building business as a primary function to our end goals. What we have become is responsible for all the mold construction that we sell to our customers that is the means to the end better known as a finished plastic product. We turned our mold building facilities into a production machining line for value added services to the plastic products. We use our machining facilities to finish machine dimensions to the fourth decimal in plastic parts. 2) Tool construction project management. 3) First article testing and final approval of all dimensions to meet the customer’s requirements. 4) Free tooling maintenance for the life of the tool as long as it stays at PMT. One stop shopping for the entire process. We will make sure you get off on the right foot from the start of the product design all the way to getting the parts through first article approval and ready for production.